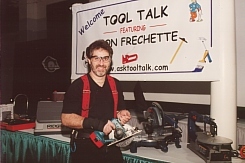 After eight years (1997-2005) of presenting his high-energy "ToolTALK" and "ToolTIPS for Women" shows to standing-room-only crowds from coast to coast, Leon A. Frechette is redirecting his energy to infomercials and to his many home improvement sites currently under development. To see his full bio, click here! 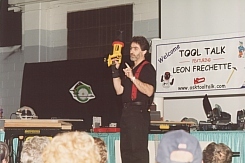 During his presentations, Leon promoted safe tool use and shared the latest in professional and consumer tools. 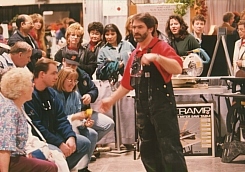 Audience participation was a key component of each show, so he welcomed questions and brought audience members onstage for hands-on activities. Now, rather than meeting Leon face to face, consumers and professionals can now find hands-on information 24/7 through his interactive web sites. 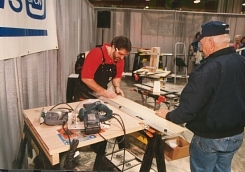 To learn more about ToolTALK and ToolTIPS for Women, click here.